What’s the Secret Behind the Torah’s Numbers and Bible’s Divine Timeline? 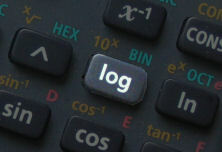 Logarithms. There is a saying that you find what you look for? Such as the number 42, as in the 42-Letter Name of G-d. I see it in news reports everywhere and it keeps coming up for me. This could be because I’m hyper-sensitive to that number having written a book about that particular Name (The Genesis Prayer), or that I’m sending out energetic inquiries about it into the universe, or the collective consciousness as some would call it, or as some scientists would speculate, that I’m filtering out all else. Maybe it’s a little of everything. Another example is my conviction in the date 5778 (2018 CE) because that was the date given by the tzaddikim for the geula, final redemption. Again, I’ve written books about it and have found extensive proof of it within the context of the Torah and modern mathematics and physics, but then some skeptics would say that I would have done the same with the year 6329 or 2012 (though, I never found much to collaborate the end-of-the world thesis based on the Mayan calendar) had those been given to me. So let’s take some of the key historic Biblical calendar dates, as illustrated in The Divine Calendar, such as 3760(0 ce), the pivotal beginning of the Gregorian (Western/Christian calendar); -422 BCE (3338 HC), the fall of the First Holy Temple; 3830 (70 CE), the fall of the Second Holy Temple; and 5778 (2018 ce), the date prophesied for the manifestation of the tree-of-life reality, with its mirror date of 2018 HC, when G-d made His Covenant with Abraham, promising that final redemption. Given those dates, and that the Exodus from Egypt and 10 Commandments were received in 2448 HC, exactly 66.6 jubilee years before 5778, how would the skeptics explain that the logarithm of the number of Israelites that received those 10 Commandments, (600,000 as per the Torah) is exactly 5.778151. The number 151 is the numerical value of the Name of God, Ehyeh, the “I am” in the “I am that I am,” but that’s besides the point. That said, how would they further explain that the logarithm of the year 5760 (2000 ce) is 3.760422, which is exactly 2000 years earlier (5760-3760 = 2000). As explained in The Divine Calendar , this special date of 3760 HC is what makes the two calendars so symmetrical with even Abraham’s birth in 1948 HC coinciding with Israel’s birth in 1948 CE, and if you recall, 3760 – 422 = 3338, the date of the destruction of the First Holy Temple. And while they’re explaining that away as coincidence, let them tell you how the square root of 3338 being 57.78 is also meaningless. 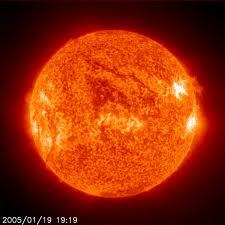 And perhaps had they had computers and advanced mathematics 3330 years ago, maybe it would be meaningless, but would they also have known that the surface temperature of the Sun was also exactly 5778 K? 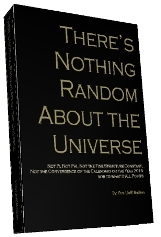 Of course, years are nothing more that the earth’s trips 365-day trips around the Sun, matching the 365 positive mitzvot (precepts) in the Torah and the sum of all the integer logs through 365 is 778.39. And as for the date of the destruction of the Second Holy Temple, 3830 HC, the logarithm of 3830 is 3.5832 with the 358 being the gematria (numerical value) of Moshiach (messiah), which may or may not mean anything, but we thought we’d throw it out there. Nevertheless, we do have a clue that the Torah did indeed take logarithms in consideration of its creation, because the logarithm of the numerical value (913) of the first word (Bereshit, “In the Beginning”) of the first verse of the Torah is 2.960 and the numerical value of the last word (H’aretz, earth) of that verse is 296. And speaking of verses, there are 5845 of them in the Torah and the sum of the logs of all the integers though 5845 is 19480.68… and 5845/1948 is nearly exactly 3.000. It was the kabbalists, who first wrote about the 10 dimensions of the universe, the 10 sefirot of the Tree-of-life thousands of years ago, and today most physicists agree. So it’s only natural that the logarithmic scale is designed into the Torah and the Divine calendar as with most of our mathematics today, they are all based on a base-10 system. Here’s a tip of the hat to those 2012 doomsayers, just so they don’t say we’re too fixated on 5778 (2018). The height of the Great Pyramid in Egypt is 5775 inches and the sum of all the integer logarithms through 2012 is 5775.15. Yet either way, the sum of the logs of the 3 integers for the 3 inches from 5775 to 5778 is .778151 or the log of 6 for the 6 years from 2012 to 2018 is .778151, so there you have it. Everyone can choose to fixate on whatever they want, but if fixating on the tree-of-life reality and the coming of Moshiach consciousness will draw that into your life, its a worthwhile pursuit whenever it occurs, B’H soon. We’ll begin shortly a series of articles that will posit differing scenarios of what it could be like to awaken from this world of illusions that we’re currently trapped in and see reality for what it truly is. This week, I found out, that William Miller made possibly a small mistake, when counting the arrival of Moshiach in 1843 from the Book of Daniel. Daniel really takes 7 x 360 = 2520 Years – 2300 = 220 Years. Same did Newton with a small mistake. 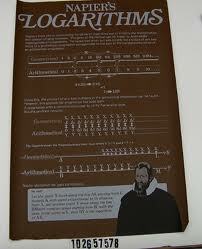 He started with the New Rome 25.12.800 Charlemagne and added 1260 years up to 2060. There are 2 years difference in the countings of seder olam. 3730 or 3768 of the second destroying of the temple. That means for me, that the Geula possibly starts in 2016 and ends in 2018, with a new Tree of Life consciousness. Possibly, yesterday I forgot an important reckoning. The number 2300 is separate. 1260 + 1290 + 1335 = 3885. 3885 = 5 x 777 or 5777 HC. 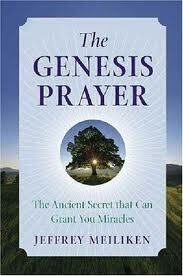 The simplest way to prepare is to lead with love and learn and do the ana b’koach (The Genesis Prayer). There’s much more, including getting and studying the Zohar, but everything you could do are tools to get you to lead with love. 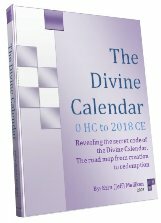 As you can read about in The Divine Calender both calenders mesh in the year 5778 and both calendars were necessary to create a symmetrical time-line in which the Covenant of Abraham was made by G-d in 2018 HC and will be fulfilled by Him in 2018 CE. Like that Covenant Kabbalah predates all the religions and is both spiritual and scientific in its core. In the simplest terms, its the study of the universal energies and how to use them, be guided by them, harmonize and be reunited with them, often through their symbolic depictions in the Hebrew letters and their numeric equivalents–but that’s synthesizing thousands of esoteric volumes/years of knowledge into a single sentence, which obviously doesn’t do it justice.